This page shows photographs of the ancient village of Newburn which stands on the river Tyne some 8 miles West of the City of Newcastle Upon Tyne. 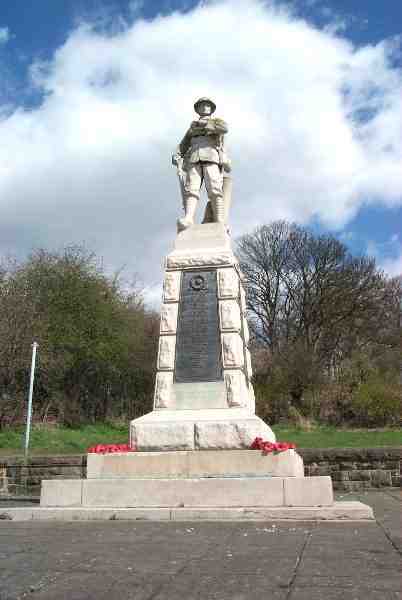 The name of Newburn means - Olde English for "New Fort or Castle". 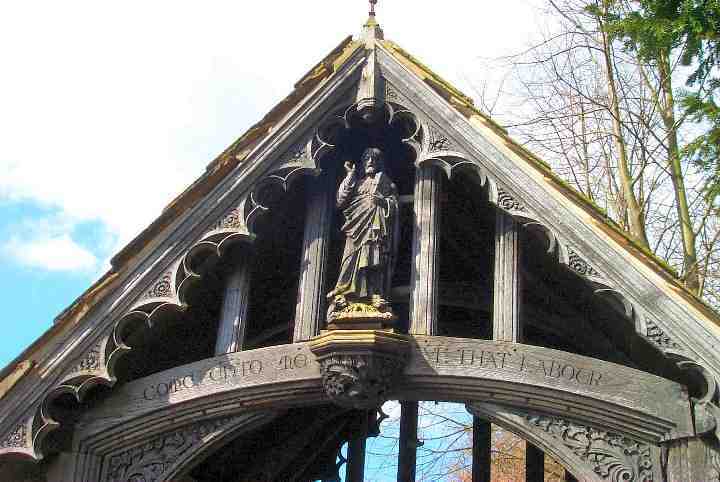 This is the Lychgate to the Anglican Church of St Michael and All Angels. 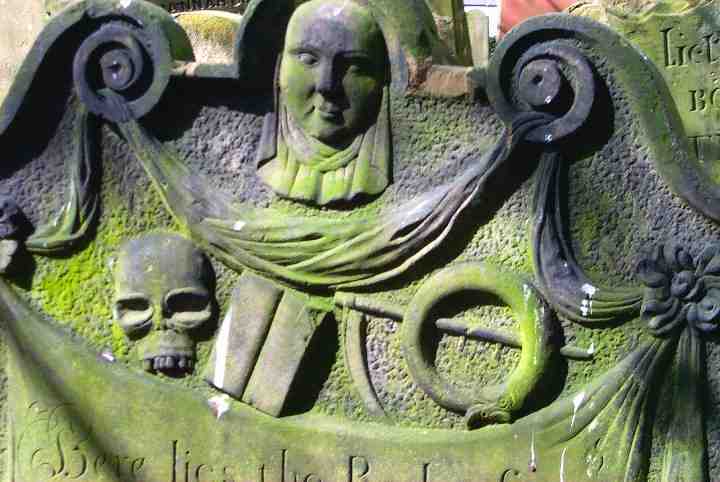 A charming entry way into the Churchyard from Church Bank. 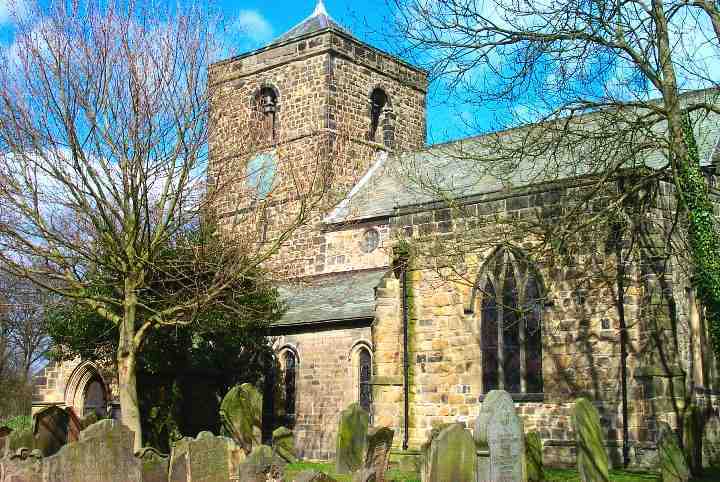 The Church replaced an earlier Saxon Church which burnt down in 1070. 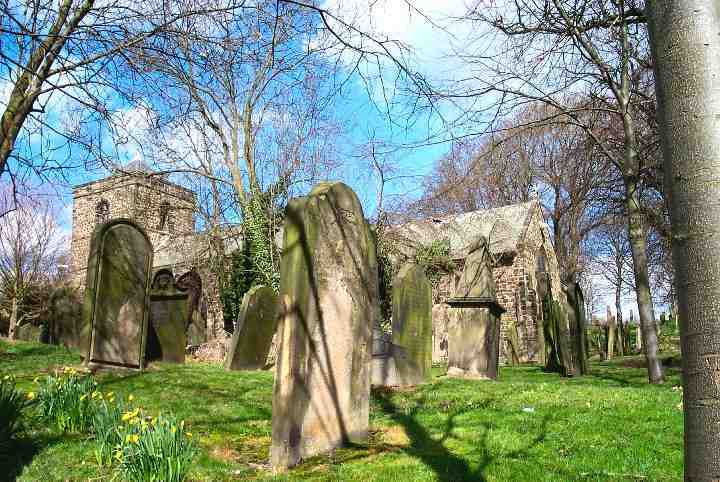 It may have been rebuilt in 1123 as part of the Chapter of Carlisle. 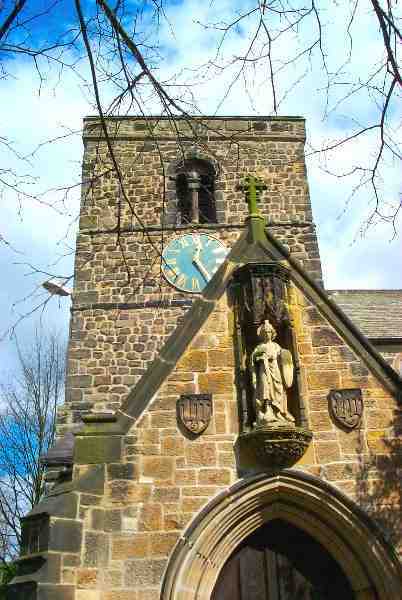 The Church has a Saxon/Norman Tower and this stands to the West. 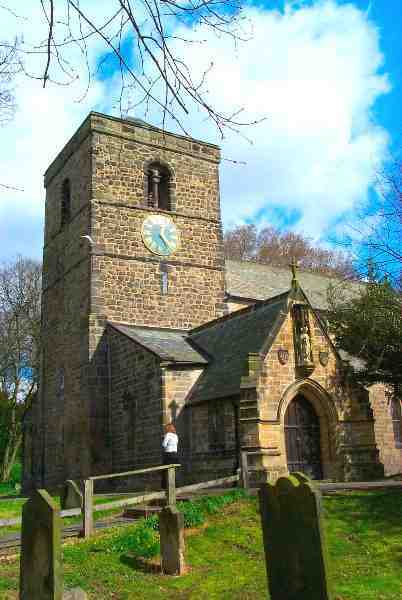 The Tower served as a gun platform for the Scots invaders during the Battle of Newburn in 1640 when the English and Scots has a "skirmish". 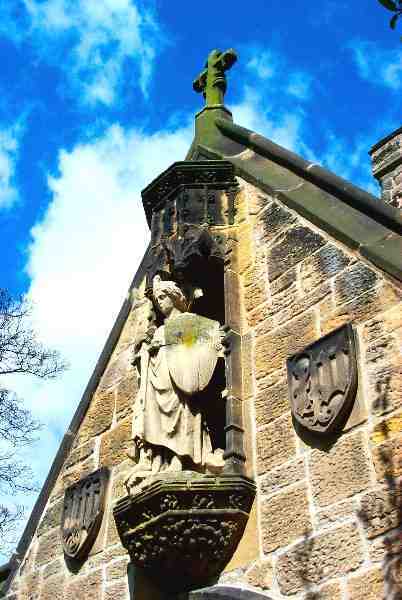 Statue above the main entrance to the Church - possibly of St Michael - can anyone confirm this in order to update this information? 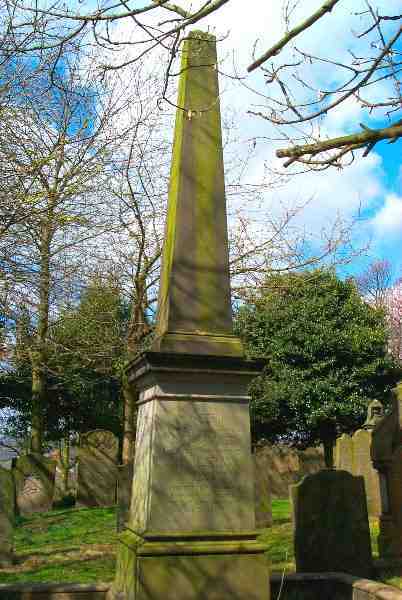 This is the Hawthorn Family Grave - Robert Hawthorn was another Railway Pioneer and the Hawthorn name was later to be linked to the Tyneside engineering firm of Hawthorn Leslie. 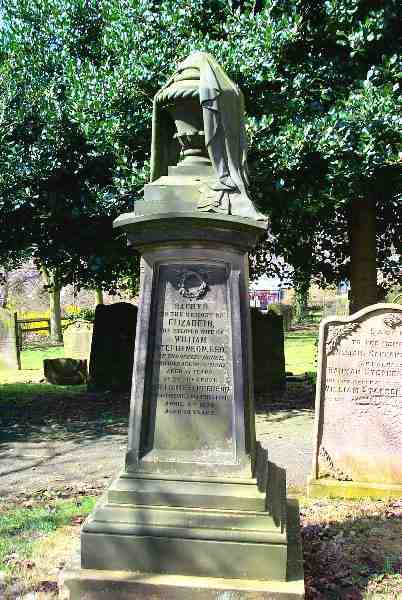 This is the Stephenson Family Grave, perhaps a relative of the famous George and Robert Stephenson? 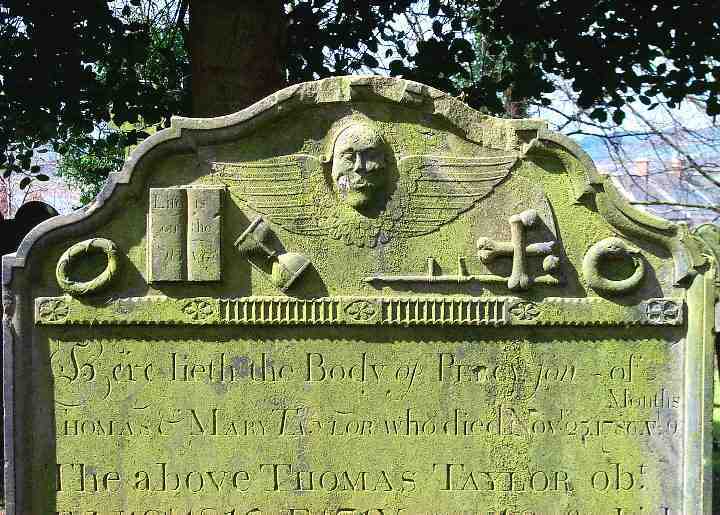 George Stephenson was married to Frances Henderson in the Church,28th November 1802. 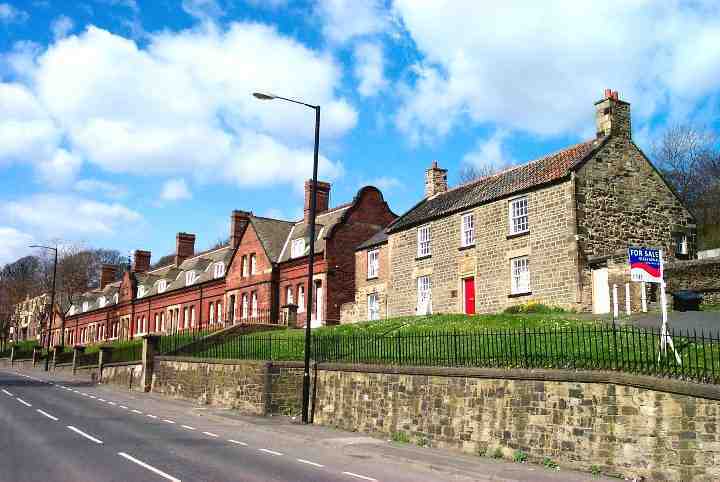 A dlightful row of 12 Almshouse Cottages on High Street, built in 1870 to a design by R J Johnson. 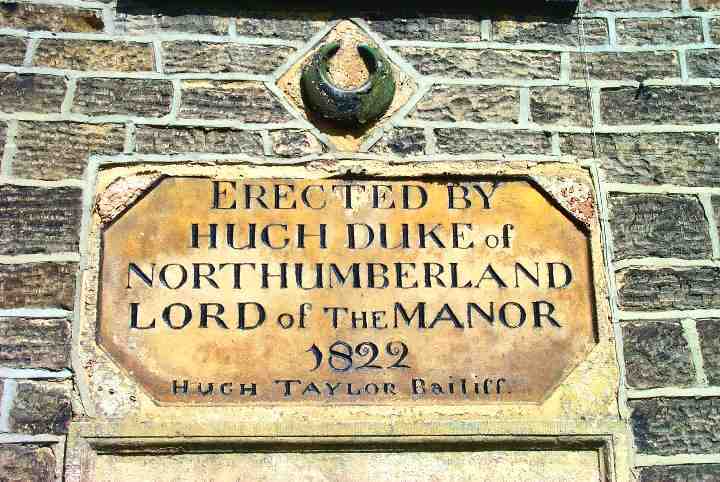 Plaque on The Duke of Northumberland House - the crescent shape being the Duke's emblem. 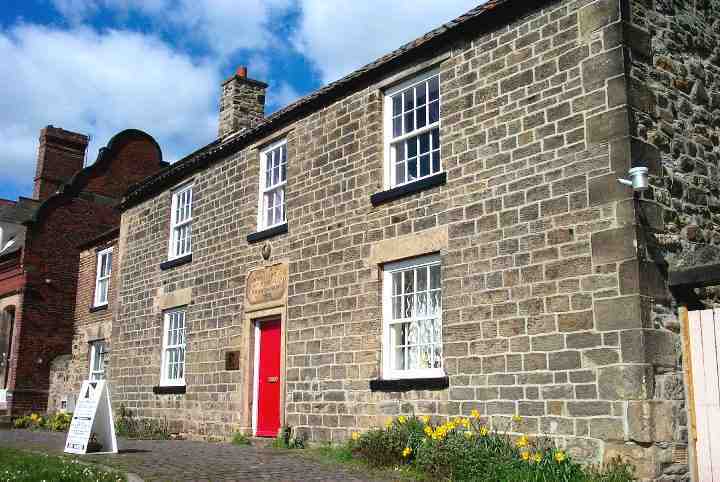 This is The Duke of Northumberland House, built in 1822 of plain stone. 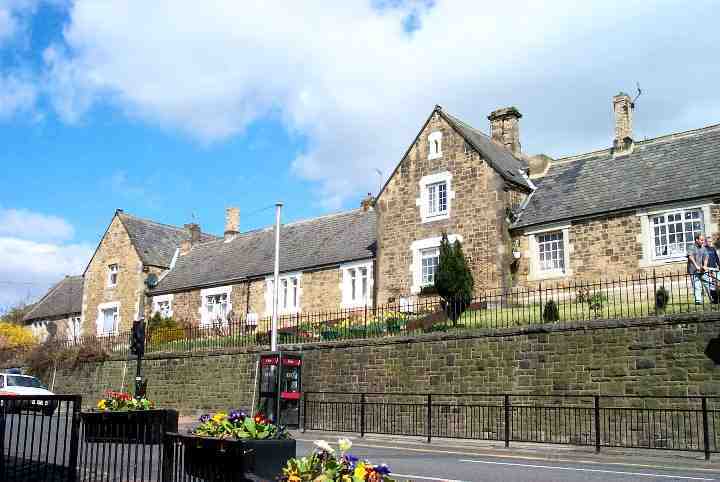 View of the South side of the High Street in Newburn. 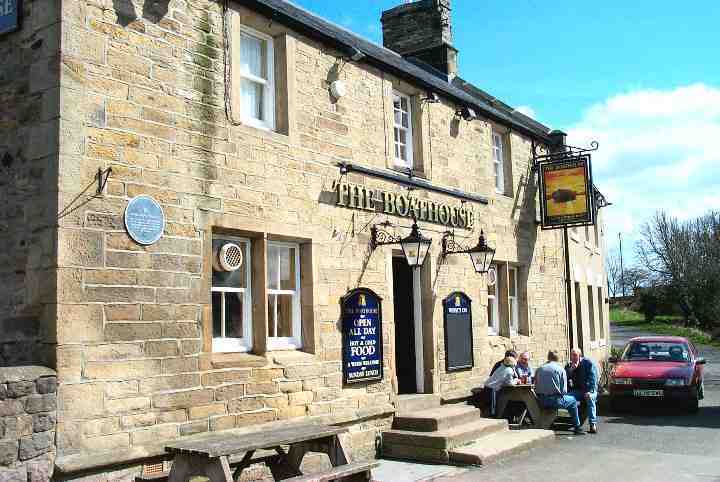 This is the Boathouse pub - built in 1830. It stands close to the former Water Row Pit where George Stephenson worked on Robert Hawthorn's new pumping engine from 1798 to 1801. 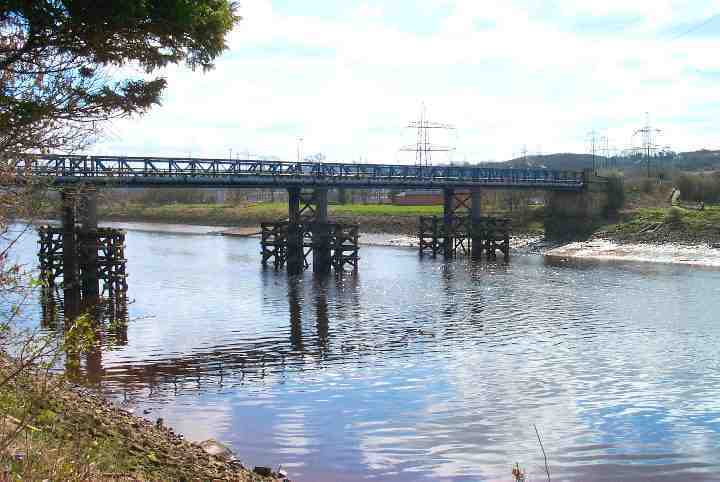 The bridge was built by Head Wrightson of Thornaby on Tees. 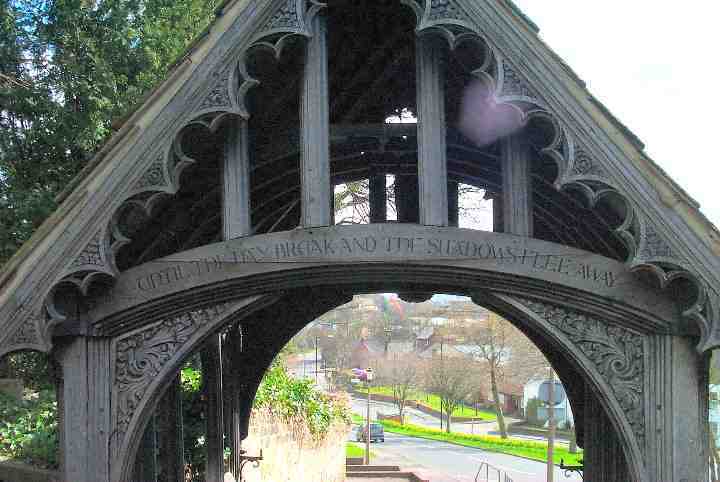 The Lychgate was built in 1896 by W.S.Hicks. 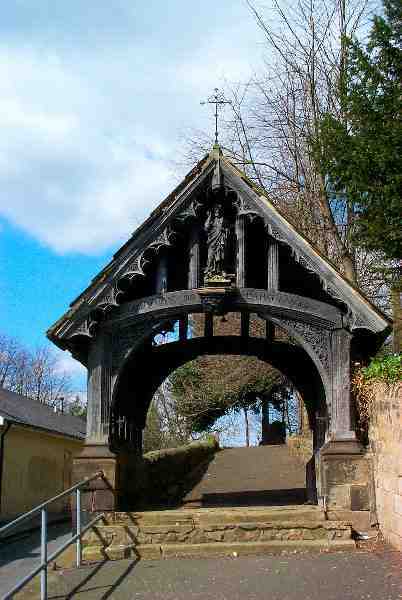 The Lychgate is made from pegged timber with a stone flagged roof. 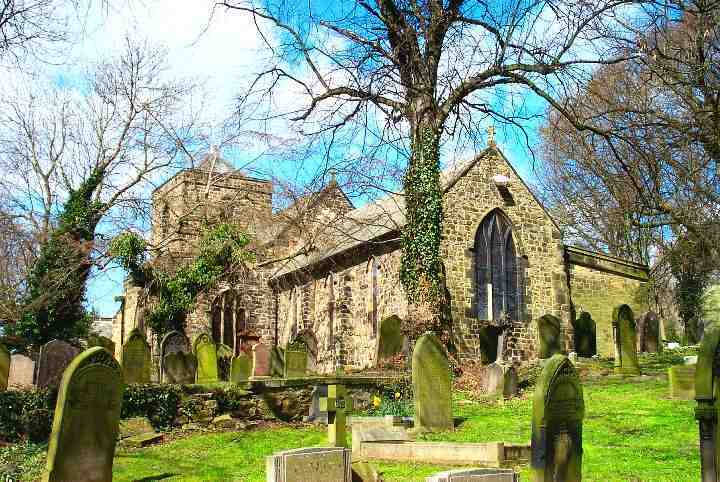 This is the Church of St Michael and All Angels, Concecrated in 1170. What can be descibed as a typical church graveyard, quite well maintained. 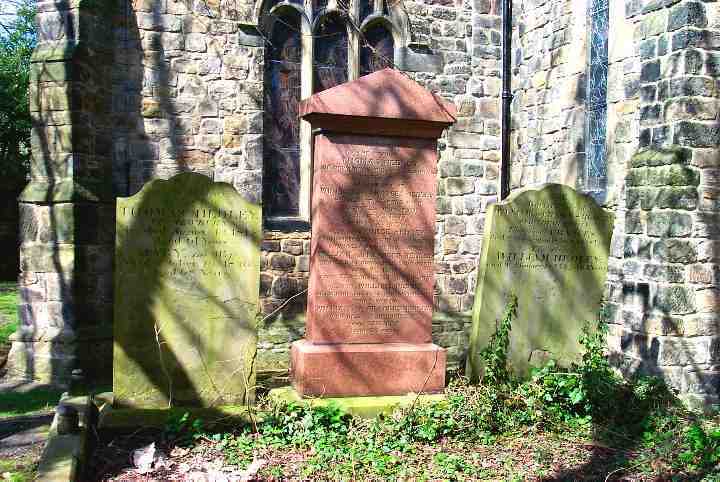 The bulk of the graveyard stands at the rear of the Church, towards the North. 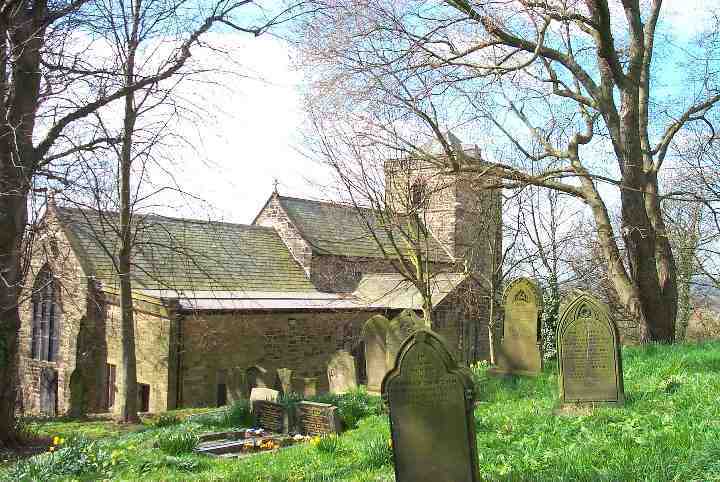 This is a view of the Church from the South after passing through the Lychgate. 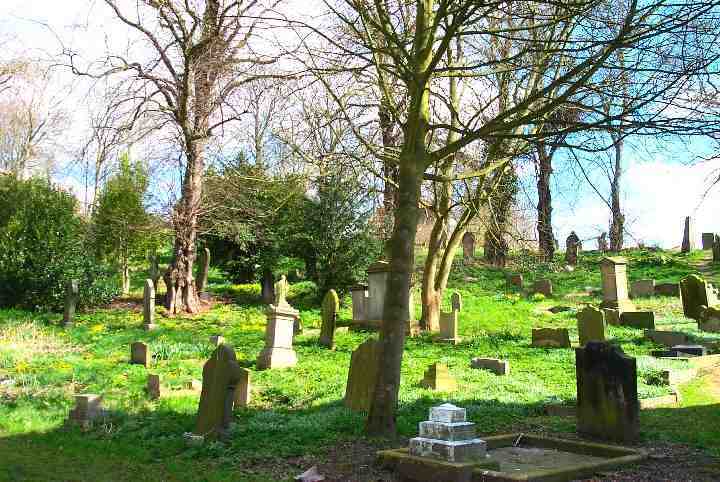 A view of the cemetery as it extends towards the North at the rear of the Church. 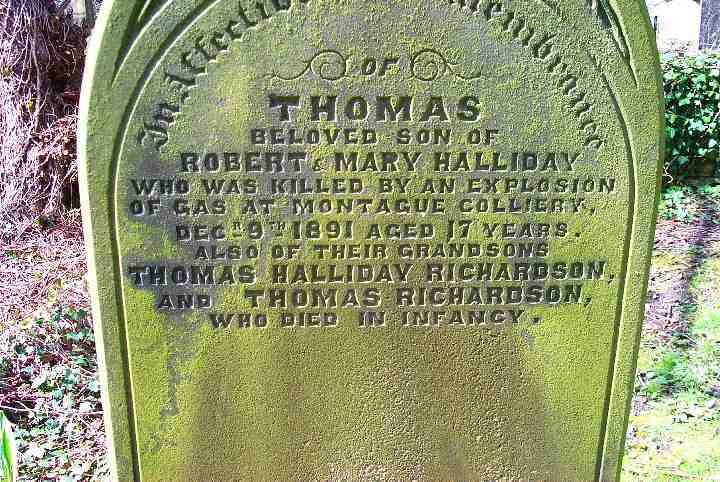 This is the Hedley Family Grave - William Hedley was a famous Tyneside Railway's Pioneer. 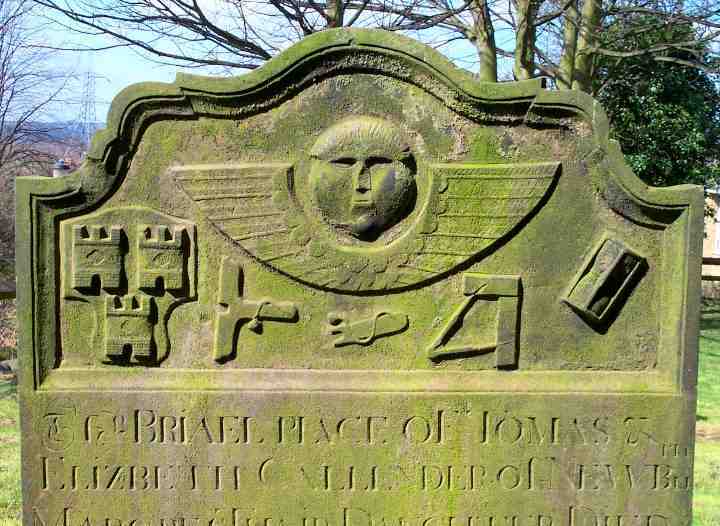 Some good examples of early head stone art work - the symbols all have a meaning. 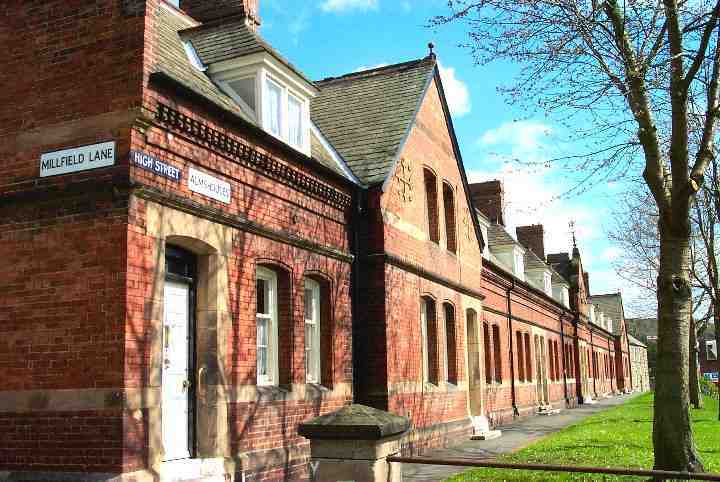 The Almshouses were funded by Hugh Taylor, Bailiff of The Duke of Northumberland. 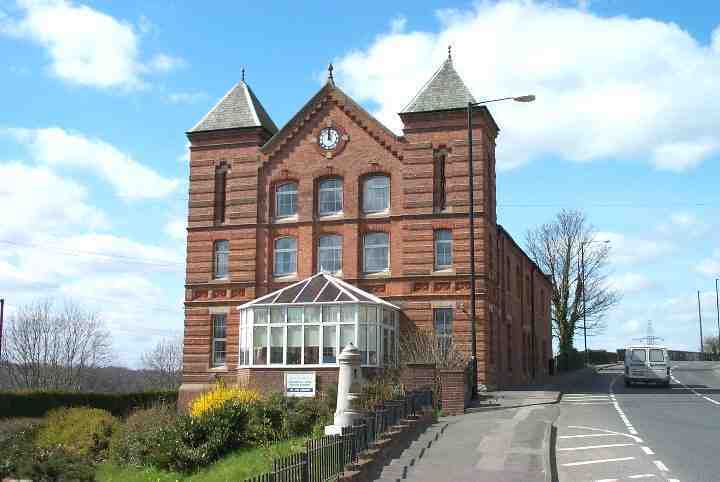 This building is now a Nursing Home but is known locally as Newburn Hall. 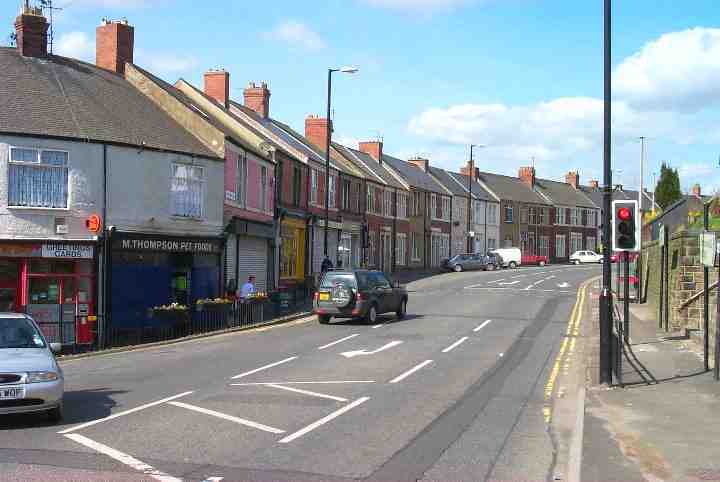 A view of the North side of High Street Newburn. 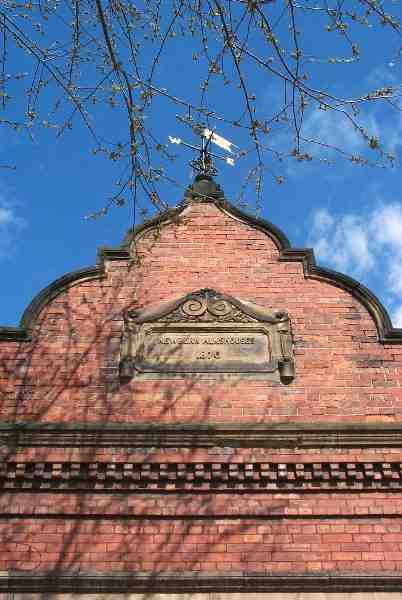 The levels of floods, 1771, 1815, 1830 and 1856 are marked on the outside wall of the Boathouse pub. 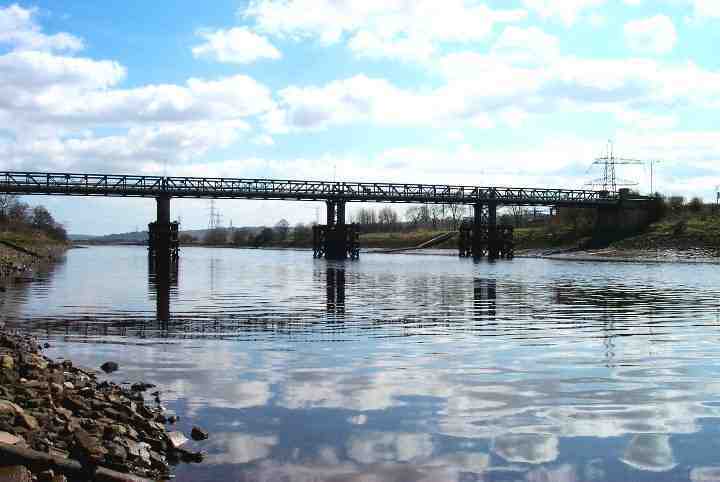 This is Newburn Bridge, built in 1893 for the Newburn Bridge Company. Originally it was a toll bridge, the toll house being on the North East end. 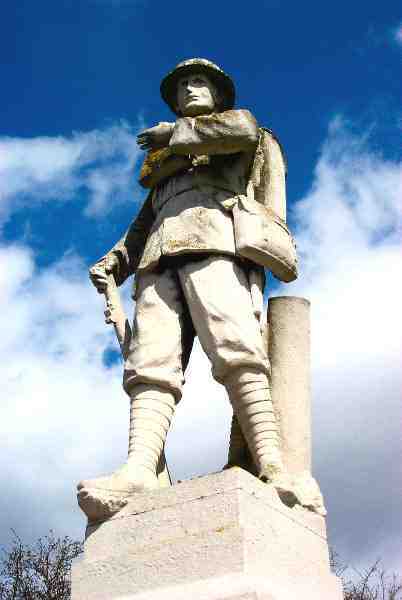 The memorial was unveiled by the Duke of Northumberland, 15th July 1922. Remember that the photographs on this page are only representative of the full set which can be viewed in a larger downloadable and viewable size on my main photographic archive site.